Deciding to buy a new mattress seems like a simple enough decision, but anyone who has gone through the actual process knows that it is anything but. You spend countless hours researching the difference between memory foam and latex, mattress in a box, mattress in a bag…and whether or not the mattress has cooling technology. You’ve done so much research by now that you’re basically a mattress expert. So, you head out into the world, ready to buy a mattress that’s soft yet firm, supportive yet contouring. As soon as you step foot into the mattress store, you’re overwhelmed by options — not to mention high price tags. That’s when you remember that you’ll be spending an entire third of your life sleeping, making the weight of this decision that much greater…and this is still only the first store! Cue panic. Alright, slow down for a second and take a few deep breaths. Here’s the good news: Nectar is here to make your life easier with our memory foam mattress in a bag. No need to get worked up with multiple trips to the mattress store on your lunch break where you try to sneak in an unnoticed nap to see how much you really like that mattress you’ve been eyeing. Nectar’s mattress in a box is the perfect solution for those who don’t like to waste time and don’t like unnecessary markups (pretty sure that’s everyone!). Our bed delivers right to your door for free and comes with the guarantee of our Forever Warranty. Did we mention you also get a 365-night trial so you can sleep on your new bed for all four seasons to truly decide if it’s right for you? As for all that mattress research, we’ve got you covered there too. We’ve got comparisons between Nectar and other mattresses on the market so you can decide for yourself. How Does So Much Cozy Fit In One Box...Or Bag? Sounds crazy, right? How does a big, contouring foam mattress fit into a box that gets delivered directly to your door and inflate as soon as you open it to perfect sleeping size? Glad you asked. 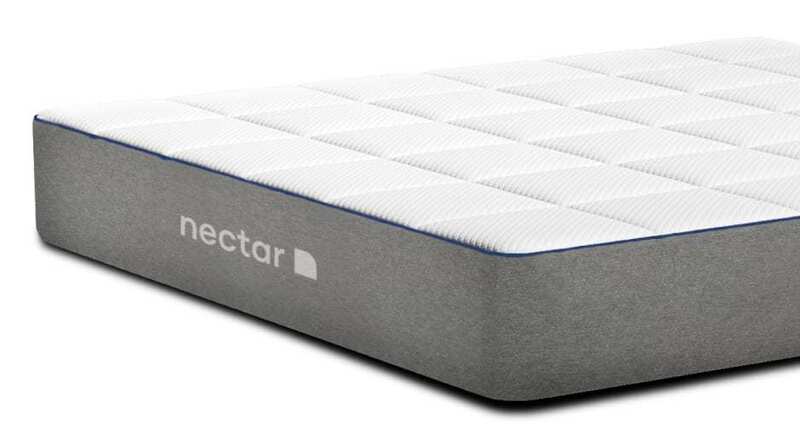 Nectar’s mattress in a box is made of premium, high-density memory foam which has been engineered to “bounce back” to its original shape as you move and sleep. This “bounce-back” ability is what allows your bed to be compressed, rolled up and shipped. The Nectar mattress has been designed to maintain its shape, comfort, durability, and support throughout years of use. Our mattress in a bag comes sealed in airtight packaging inside a custom bag that starts to expand the moment you cut the packaging open. From there you can easily unroll it and watch it crease in size until it gets to its full level of comfort, support, and bounce. It’s pretty mesmerizing. Wondering Which Mattress Is Right For You? Like all things with sleep and mattresses (and you), the ideal mattress and mattress size is subjective. The best mattress is the best mattress for you! Nonetheless, here is a handy guide to understand how beds are sized and so you can find the ideal mattress size for your home and your lifestyle. Learn more about mattress dimensions in our full mattress size dimension guide. Considering Nectar’s mattress in a box? You’ve got access to our world class customer service team before, during and after your purchase process. We’re dedicated to answering your questions, helping you comparison shop and clarifying delivery details. Our team is always ready to guide you through the mattress purchasing process with ease. We are available via chat (just look for the chat bubble at the bottom right of your screen), or to speak to someone over the phone, our team of sleep experts are ready to assist you. Call us at 1-888-8Nectar and see for yourself! The team is available from 6 a.m. to 9 p.m. PT, seven days a week. Take advantage of White Glove Service to have your Nectar mattress in a box hand delivered and set up for you. We’ll even remove your old mattress. That’s right: we’ll bring your new mattress into the room of your choice and take care of the entire setup process, from removing the packaging, to taking your old mattress off your hands and disposing of it safely and properly. Why do all of the heavy lifting when can do it for you? How can we afford Forever? We built our bed with better materials and a better base than other mattresses out there. We knew from the start that we wanted to build a mattress that our customers would want to sleep on and one that they wouldn’t have to worry would lose quality after the first 5 or 10 years. That’s why we invested in premium materials that cost more to use and ship, but to us, your satisfaction is worth it. That’s also why we guarantee the quality of construction and materials of every Nectar mattress for the full life of use of the mattress by the original owner. The best part about Nectar’s mattress in a box? (Besides the stellar dreams you are going to have in your blissed out slumber?) That year long trial period! Yes, you read that correctly. Enjoy the Nectar mattress in the comfort of your home (you can take it out of the box) for an entire year, and, if you decide it’s not the right fit for you, you can return it. It’s risk-free. You may wonder how we’re able to afford such a long trial period that’s three times longer than our competitors and the answer is easy: fewer than three percent of Nectar sleepers return their mattress. It’s just too good to give up. 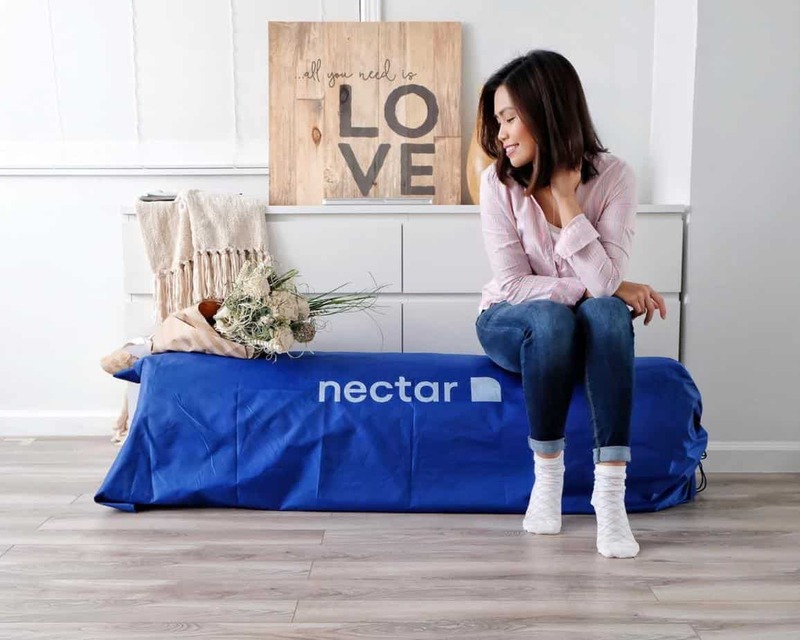 At Nectar, we strive to be the last mattress you’ll ever need to buy and if that means that we give you time to test out our mattress in a bag through all four season, then so be it. We are certain that you’ll never want to give up sleep this good. I had to wait three days past delivery date. No stock more company said of Queen. I requested rush and they did and bed arrived. Very nice but why wait. Mother lives with us and cares for son and she did not like tha tthey did not also sell box spring. When late the company did offer a discount and received a call from manager who seemed to care. BEd well priced nad very nice quality.